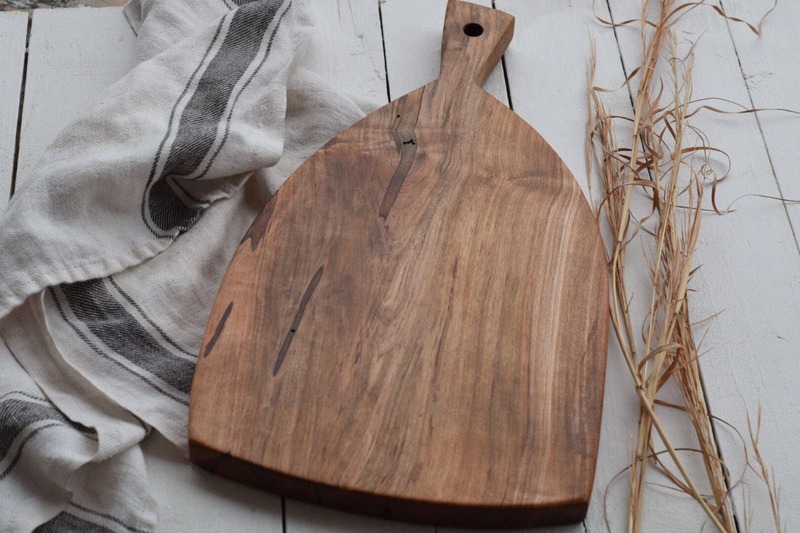 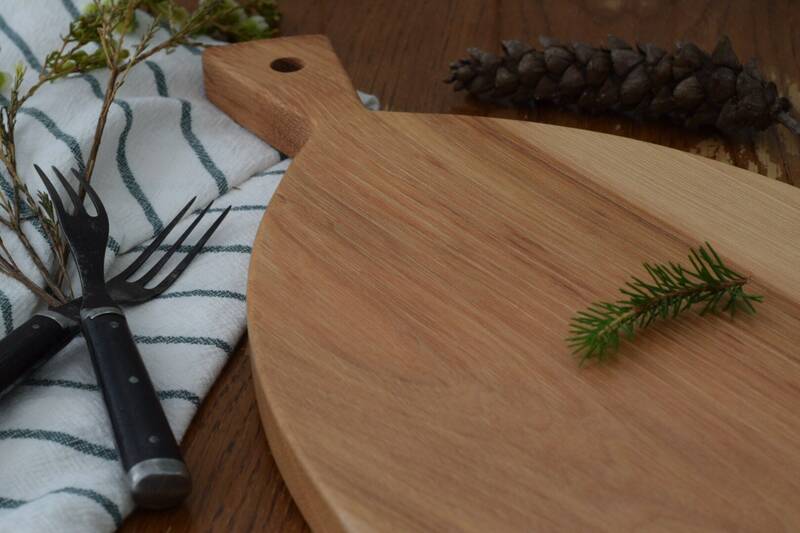 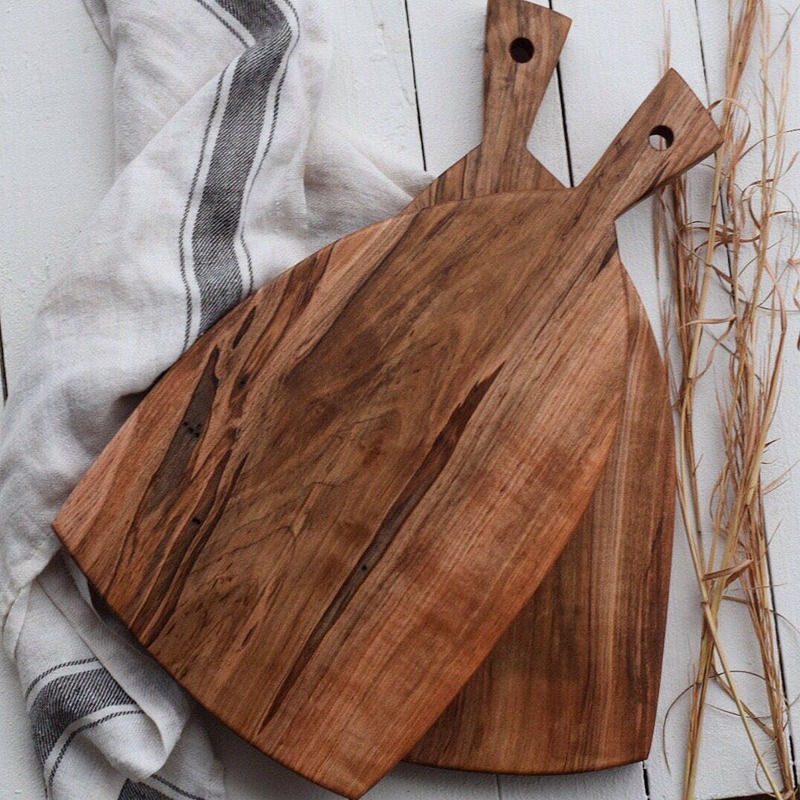 "the Peasant" is a rustic, handmade, cutting/serving board perfect for breads and cheeses. 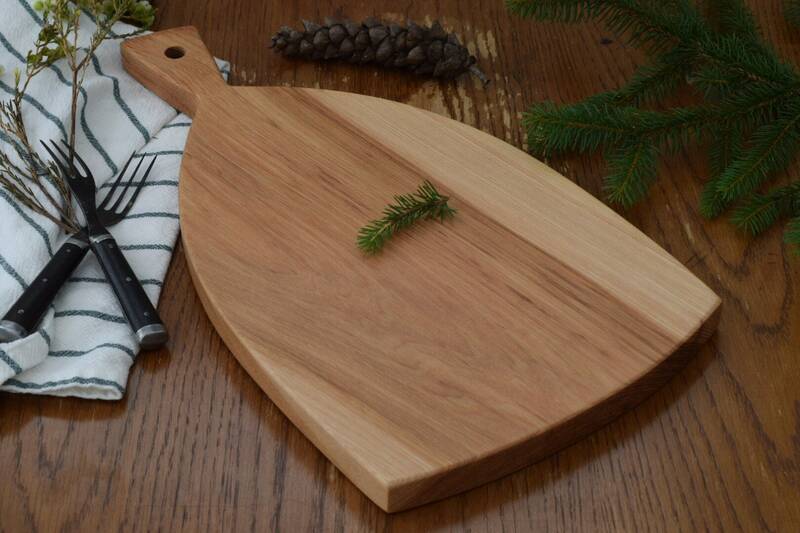 We love using ours to slice up some homemade bread. 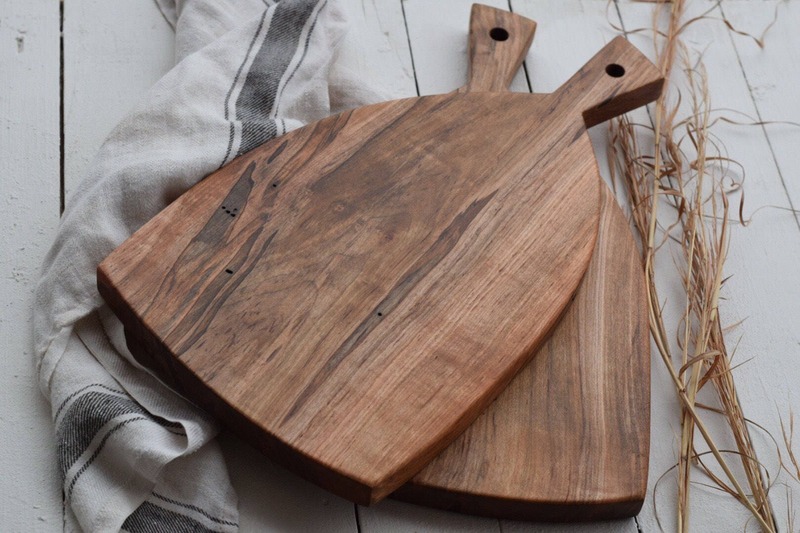 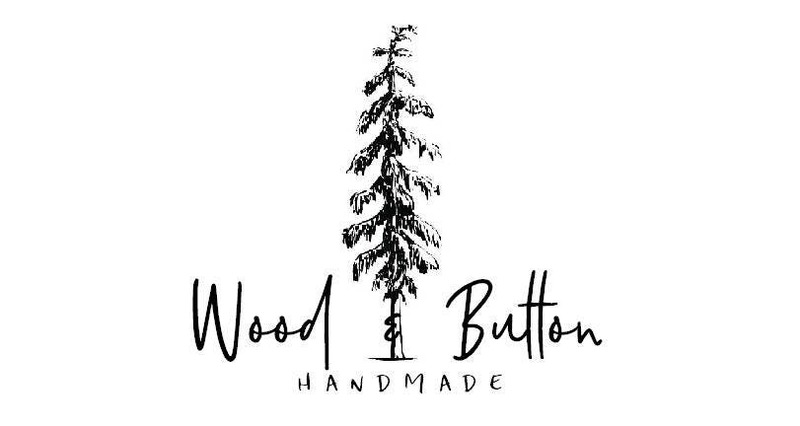 16" X 8.5" X .75"